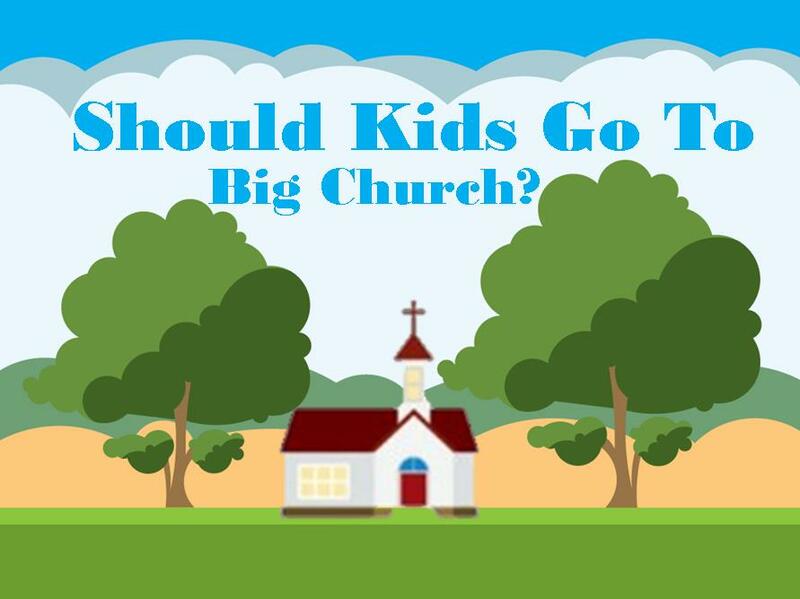 Do We Really Want Kids In Church? Now there are some pockets of old fogies who all but recite the disciples’ mantra. They diligently strive to keep those “darn” kids in the colorfully painted rooms in the basement through ugly looks and cruel comments. Most of these people have no clue about what the four gospels teach. They happily go on church sponsored sightseeing trips, unaware that Christ welcomed children and rejected the self-righteous who boasted in their fat wallets and moralistic programs (Mathew 19:13-23). But the majority of Bible believing Christians who devalue kids are actually well meaning adults found swirling around the children’s department. Their catchphrases go something like this, “I can’t come to church if I have to watch my child; children’s ministry should be about giving parents a well-deserved break; children really need activities they can handle; big church is well, big church.” Once these phrases become a church’s ministry philosophy, the congregation will most likely cease to be a place where families come together to experience the community of Christ through worship and fellowship. Although we may have given the kids their own snazzy wing of the church, we have restricted their access to community of Christ. Being smart, our children quickly pickup on the messages we are sending. They understand that big church is not for them. If anything, they know that they are a bother or hindrance to the rest of the church community. Most of our kids will reconcile themselves to the idea the church consists of nothing more than eating crackers, drinking apple juice, and playing a few cool games. The glories of communing with the people of God is just not reality. Not surprisingly, the children who regularly attended all these cool kid based programs are the most likely to leave the church when grown (Ham, Beemer, & Hillard, p. 38). To reach the next generation for Christ, we as parents need to once again embrace a church paradigm that welcomes children into the body of Christ. Regardless of how gifted a Sunday school teacher is or how loving a nursery worker is, parents are called by God to connect their children to the church. So how do we do this? 1. We worship at home. 2. Pray with our children. Ask God to give them us patience. Ask God to give our kids a love for his word and his people. Ask God to give you wisdom to reach your children with the gospel. 3. Be in involved with your kids at church. Find opportunities to serve with and around your child. Teach a Sunday school class, be a substitute, or sit in and see what they are learning. Be excited when you drop them off and be excited to pick them up. Ask them about what they learned in Sunday school. Before you go into the service tell your kids that you expect them to tell you two things that they have learned. Have realistic expectations. Do not expect your 5-year-old to be able to list all of the pastor’s five points. But your child should be able to tell you if the sermon was about Jesus or Moses. And then talk about the sermon after church. Help your children find ways to apply the sermon to their hearts. Pray through your pastor’s application points, asking God to make your family more like Christ. Children will make mistakes and will at times be a distraction. Instead of giving the mother with a crying baby a dirty look and pointing them to the nursery, lovingly smile and offer to help the young mother. And remember when we see children squirming in the seats, it’s possible they find our church services boring because we have made them boring. As the Charles Spurgeon noticed, “when children are not quiet in a meeting, it is often as much as our fault as theirs” (2011, p. 132). Let’s be sure to get the log out of our own eye before we make a big deal about the speck in the eye of the child sitting next to us. Let’s make sure our services represent that awesome glory of Christ. God is not lame and our services should not be lame. Let’s resolve to be like Christ and welcome children into the churches! The best place for children to learn about God is at the feet of their parents. As parents, we alone have the ability to connect church life into the home, reinforcing the lessons learned through discipline, prayer, and conversations all week long. We alone have the power to create a family culture with God at the center. If we punt our responsibility to connect children to Christ, we will teach our children to value personal comfort more than the commands of God. Raising a family is hard work. My four siblings and I definitely put my parents through the ringer at times. My son often causes me to wonder, “What am I doing?” And, I’ve seen the tired looks on the faces of moms as the walk into our church. But, we can do it! Another generation for Christ can be reached. Your sowing will not be in vain! “The one who sows to the Spirit will from the Spirit reap eternal life. And let us not grow weary of doing good, for in due season we will reap, if we do not give up” (Gal 6:8b-9). Ham, K., Beemer, B., & Hillard, T. (2012). Already Gone: Why Your Kids Will Quit Church and What you can do to Stop it. Green Forest: Master Books . Spurgeon, C. (2011). Lectures To My Students. Peabody: Hendrickson Publishers.